3:39pm–#Ansonia CT–Firefighters are finishing battling a brush fire about a mile from the Ansonia Nature Center. 5:32pm–#cttraffic #Seymour CT–2 car accident at Route 115 390 South Main Street. No word on any injuries. 1:11pm–#Seymour CT–#cttraffic–UPDATE–Multiple reports of three fires now which includes Oxford. There can be some traffic delays on Route 34 both directions as firefighters are on their way for a brush fire on Roosevelt Drive near Argone Terrace. The fire is opposite the river. 5:10pm–#Shelton CT–Alert kids on bikes call fire department for a brush fire off Nutmeg Lane. Firefighters going to work on it. 5:29pm–#Shelton CT– Not sure what is up with Shelton and things in the road today but there is a report of man lying in the middle of the road on or near Bridgeport Avenue at Walmart. 4:21pm–#Shelton CT–If traveling on Perry Hill Road in Shelton look out for the washing machine in the middle of the road. Police on the way. 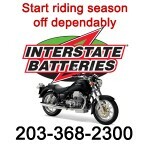 3:19pm–#Derby CT–Multiple reports of the town of Derby in the dark after an outage. UI reporting over 40% in the dark with no reason why. 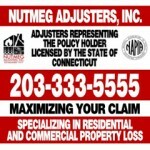 5:21pm–Shelton CT–#cttraffic–Report of a rollover crash on Route 8 northbound between exits 12 and 13 in the median. First responders on the way. UPDATE–First responders update the info to no rollover and it happened southbound. #Ansonia CT–Tonight’s car fire is on Johnson Street (no number given) that has extended to a garage that is attached to a house..
5:09pm–#Shelton CT–Firefighters on the way to a chimney fire at 16 Fieldstone Road.